After the launch of the Galaxy S10-series, now all eyes are on Samsung’s next flagship smartphone, the Galaxy Note 10. We have come across some rumors that hinted about cameras, chipset, display side and more about the upcoming Note smartphone. 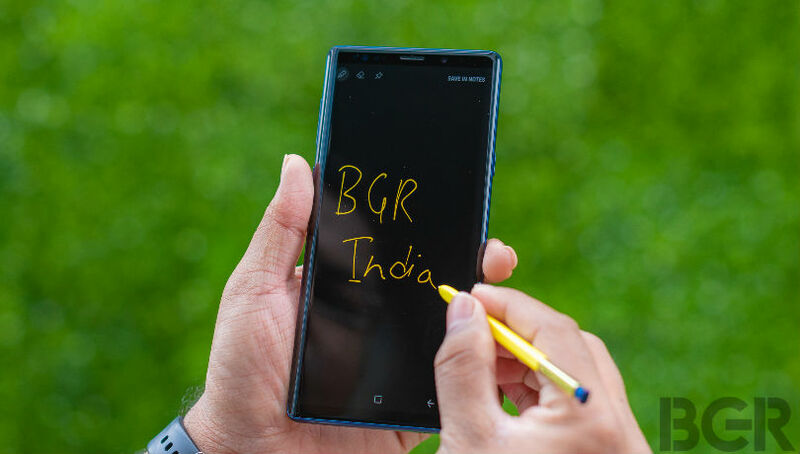 However, today’s report claims about a radical change that we are likely to see on the new Note 10. According to a report on ETNews (via SamMobile), the Samsung Galaxy Note 10 will be the company’s first flagship smartphone with a “buttonless” and “keyless” design. This means the Note 10 may lack Bixby key, power button and the volume rocker. Instead, the smartphone will use gesture or touch-based alternatives. However, there is no word on the kind of gestures or physical key alternatives Samsung will go for. Just like the HTC U12 Plus, the Note 10 may feature pressure sensitive edges, squeezing which, one could perform various actions. Of course, replacing traditional physical keys with gesture will be a drastic change for average users, and the report mentions that the tech could first be made available on Galaxy A-series smartphones to test on mid-range before bringing it to flagship offering. Another report on The Investor claims that the Galaxy Note 10 will launch in August, which isn’t surprising, and it will likely go on sale in late August or early September. Just like the Galaxy S10 5G, the Galaxy Note 10 is also expected to come with four cameras at the back, including one ToF 3D camera.